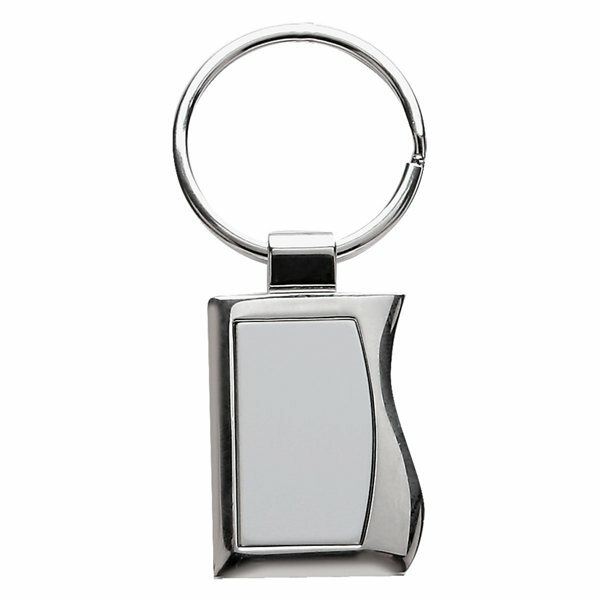 Rectangular shape 2 tone metal key holder with split key ring. Features stylish curved chrome accents and matte finish face plate. Keychain is packed in a deluxe 2 piece black gift box with inlay tray. Rosa was wonderful to work with. set up and turnaround was very quick and the product was good quality for the price. Very easy to order and customize. the product was great. All the features worked well and the graphic print was exactly like the pre-approval photo. The AnyPromo team was very patient and worked efficiently to get the exact detail I wanted on my graphic print. 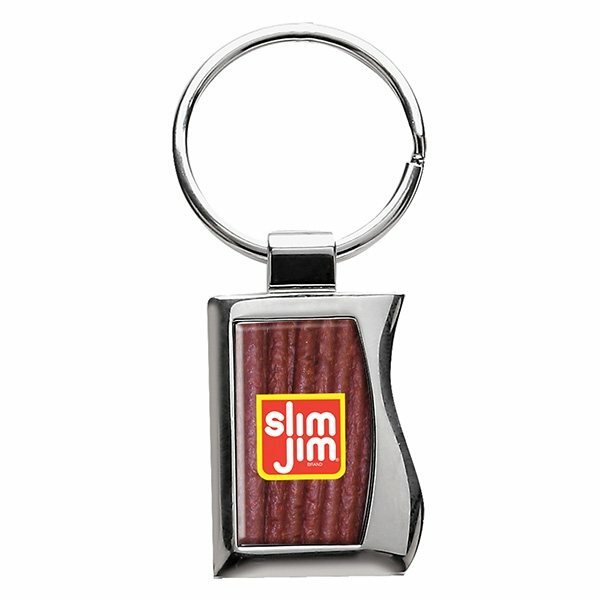 This is our second order of these key rings. The students love them! Nicely engraved too and a super great value.